By the time I interviewed with FDL Marketing (a subsidiary of Hormel Foods) I had just separated from the Air Force and my wife and I had two children. The VP of sales conducting the interview said, ‘Son, at this point in your life, you’ve earned an opportunity. 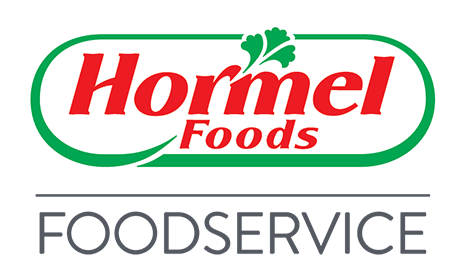 Many companies can offer you a job, but Hormel Foods can offer you a career.’ That line may seem corny, but I felt the sincerity in his voice and knew I had found something special. Jeff Baker is group vice president of deli at Hormel Foods. In this position, he is responsible for all of the deli offerings from across the enterprise, including Columbus Craft Meats, the Jennie-O Turkey Store deli division, the Hormel® and Di Lusso® deli brands and Hormel Gatherings® party trays. Baker joined Hormel Foods in sales in Dubuque, Iowa, in 1990. After holding product manager positions for smoked meats and sausage, Baker became the meat products district manager in Buffalo, N.Y., in 2001. In 2002, he was promoted to senior product manager, meat products, and became the group product manager for meat products three years later. Baker advanced to director of fresh meats marketing and Precept Foods in 2009, and he advanced to vice president of marketing, foodservice in 2012. He was promoted to group vice president of foodservice in 2015 and assumed his current role in 2018. Baker earned his bachelor of arts in marketing from the University of Dubuque. He has completed the executive development program at the Wharton School of Business. In 2015, Baker was elected to the Board of Directors for Applegate Farms and in 2016, the Board of Directors for Hormel Foods International Corporation. Baker is a veteran of the United States Air Force and serves as Executive Sponsor for the company’s young professionals employee resource group – HYPE. Baker has served in the community as a deacon for Our Savior’s Lutheran Church and on the Board of Trustees for the Hormel Historic Home. Baker and his wife, Diane, have three daughters and four grandchildren.